Because there are so many brands of foosball tables on the market it is a mammoth task to recommend the top rated foosball tables available. Reviews are relevant for this kind of analysis and so a lot of time is spent with experts and tournament players for their feedback and views on the quality foosball table they have played on. Bearing in mind that the best-rated foosball tables that are recommended will be for home use, it is still a challenge. 1.1 What to Look for? All the above brand foosball tables are given a five-star rating by experts and also manufacturers. If you are planning to buy a foosball table online please remember just looking at the picture displayed along with the specifications are not enough. Material with which the table is made is also important. Reviews online by the many purchasers can be valuable, but bearing in mind there are many different needs to the purchase, so it is recommended you do some well-informed research, in order to get a clear enough picture as to what to look for when you decide to buy. If a second-hand foosball table is what you are leaning towards, the options out there are many, but the pickings for a reasonably good table are few. Buying a secondhand table online, you should request from the seller to ensure they level the table before deciding to purchase. If the table surface is level, you will be able to stop the ball without it moving when not in play. The leg levelers or adjustable legs are also important. This feature is not often considered by home purchasers of a good top rated foosball table, but it is very important. With this feature, you are able to play on any surface with comfort. The adjustable legs mechanism is able to adjust to any floor surface to ensure you have a level table to play. 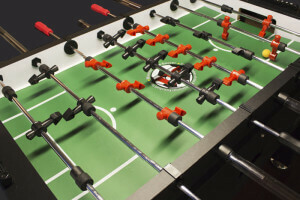 Hollow rods are another feature you must look for when purchasing a top rated foosball table. This will ensure the speed of play and also reduces weight by the rods. Counter balanced playing men are also an important factor when buying one foosball table. These men are able to stay upright or horizontal for perfect maneuvers; it is very frustrating when you are setting up for a killer shot and your foosball player is sleeping on the job! Wooden handles are recommended as the best in comparison to rubber ones. With the wooden handles, you will be able to play because you get a better grip even when your hands get slippery with perspiration. With rubber handles, you will have to seek and find the best and most comfortable wrap that will fit your style of play. The wraps come in various levels of thickness and tackiness. The tackiness is what gives you the kind of hold you require. The material that makes the wrap will give you a good hold on the foosball handles; while absorbing swat after playing for long periods. With the wooden handles, there is no need to use wraps as the grip is better. Buying a foosball table you also need to ensure the handles are not made with any sheen or polyurethane, any stain or wood finish, as these will cause lots of slippage of hands during long periods of play. A sturdy foosball table is important. The heft or weight of the table means it will stay in place during play, especially very spirited plays. For example, a Tornado foosball table comes in at a weight of 225 pounds. This top Rated foosball tables is recommended by professionals and really serious foosball players. The sturdiness of the table is based on the material that it is manufactured. 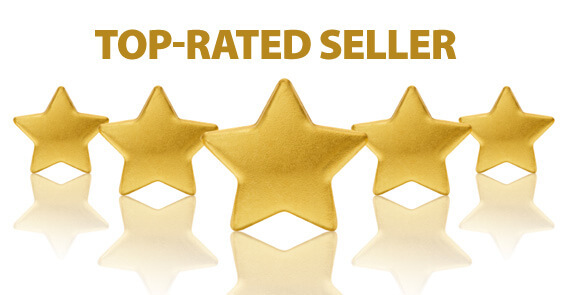 All high-end parts and has all the recommended featured that were mentioned above. You will be sure to get many years of incredibly memorable, playing time, when you own a Tornado Foosball table. The Dynamo Big D foosball table is also a great foosball table to own. It weighs in at a whopping 205 pounds. This table is also built with the best high-end materials there is and played on by all tournament players. This best-rated foosball table is generally seen in bars, but owning one for your home is indeed an investment. The cost is not too shabby and will go well with your décor in the game room. For this foosball table is an added feature, and will certainly give you many years of playing the game you enjoy. The Warrior Top Rated Foosball Tables is also a heavy table weighing 226 pounds. This is also a tournament piece and has all the recommended features except the handles, which are molded plastic. For these, you will need wraps for a comfortable grip. Good foosball table for aggressive play and will stand up to any game you throw at it. 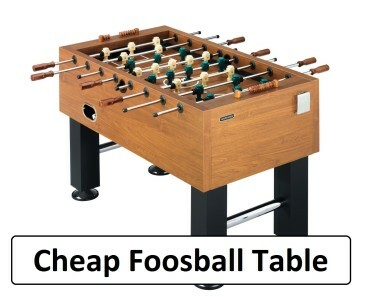 The purchasing of a Top Rated Foosball Tables is definitely a purchase of choice. With information, and good quality information you will be able to make an informed choice. No foosball table is alike; there are features that are only synonymous with the manufacturer and his brand. As stated above, research is important because this is an investment. It may be intended for fun and enhancing your play, but having the correct information and eventually purchasing the foosball table of your choosing, will be the ultimate in investment for fun.